The Boto BT370 trailer tyre. Tyre wholesaler Tyre & Tube Australia has announced the Australia-wide availability of its Boto BT370 trailer tyre after a 16-month evaluation in local conditions. The European-style 4-rib heavy-duty trailer tyre features an "extremely high rubber to void ratio to provide extended tyre life," the company says, and "reinforced high quality casing" to maximise retreadability. With 15mm of tread depth, the Boto BT370 is available at the 11R22.5 size-point and includes a wide shoulder to resist scuffing. "Fleet operators who look past the initial cost of a product, to consider better value and performance are specifying the Boto BT370," national Truckpower manager Craig Mullen says. "With a cost nearer the budget end of the market but performance above the premium brands makes the Boto BT370 a compelling trailer tyre choice. "When you also factor in the retreadability of all Boto casings, which is amongst the leading couple of casing brands, you can see the cost savings for all transport operators". Tyre & Tube Australia says that during testing at a New South Wales manufacturing company, which runs over 600 pieces of equipment requiring tyres, the tyres delivered from a cost-per-kilometre (CPK) evaluation. "Historically the company had been using internationally recognised brands, however they chose to evaluate and test tyres on their trailers in an effort to reduce CPK in their line haul fleet," the company says. "The cost savings have been considerable." 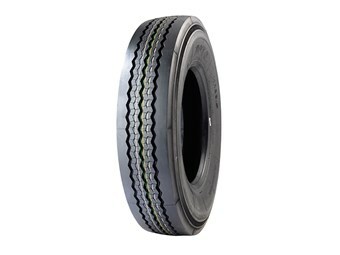 The Boto BT588 drive tyres also saw positive results from the trial, Tyre & Tube Australia says.